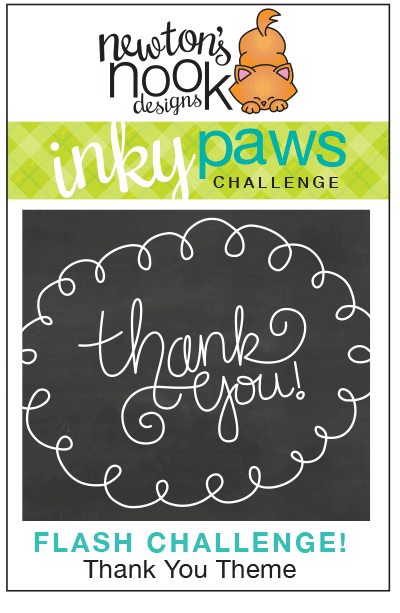 Inky Paws Challenge: Inky Paws - FLASH CHALLENGE - Thank you Theme! We had a few extra days on our blog this month without anything scheduled so we thought it would be the perfect time to throw in a little Flash challenge! Are you ready to get your paws inky with us and play along to win a prize? The Challenge winner will receive a $10 store credit to our online store! If we get more than 20 participants, we will choose TWO winners so be sure to tell your friends to play along! You have THREE DAYS to play along. Deadline to enter is Saturday, January 10th, 2015 at Midnight CST. The winners will be announced on the NND blog on Monday, January 12th. Your project DO NOT have to use Newton's Nook Designs stamps but we'd love to see them if you have them (check out our free digital stamps - I just added the "thank you" one that's shown in the graphic above to our Freebies page). Post your project to your blog or to an online photo gallery such as Flickr, Pinterest, or splitcoaststampers (on splitcoast please use keyword newtonsnook). Please - only ONE entry per person. Since we are picking a RANDOM winner this time, we want to keep it fair! 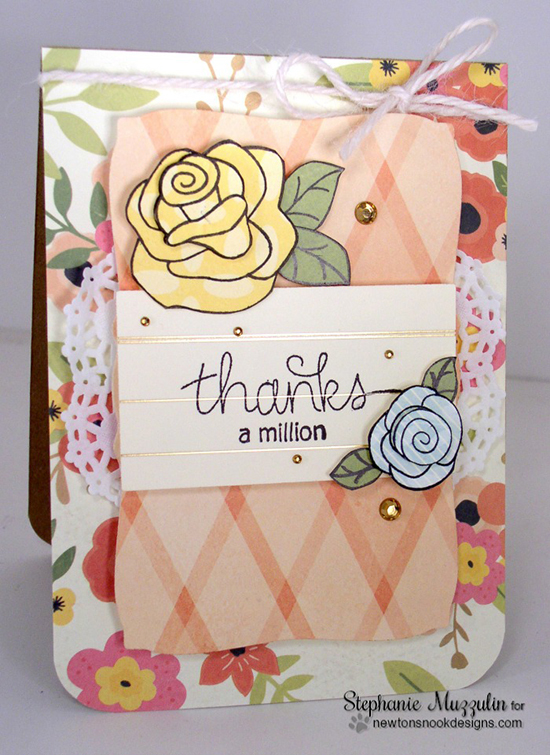 Card by Samantha using the "thanks" from Simply Sentimental, and the the teeny tiny flower and leaf images from Versatile Vases, Basket of Wishes, Newton's Day Dream, Winged Wishes and Easter Scramble! 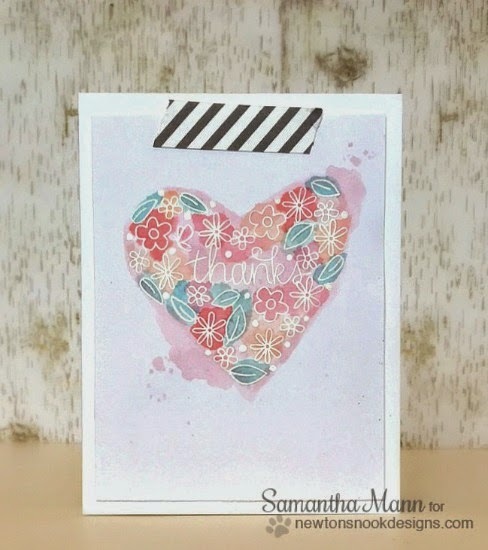 Card by Crafty Math-Chick using the Sweet Summer stamp set. Card by Lydia using words from the Simply Sentimental stamp set and stars from Newton's Curious Christmas stamp set. 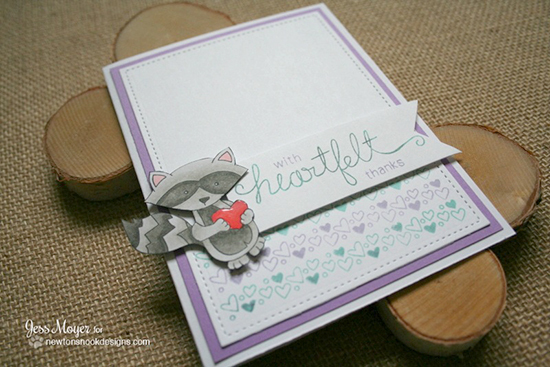 Card by Larissa using Simply Sentimental and Sweetheart Tails stamp sets. 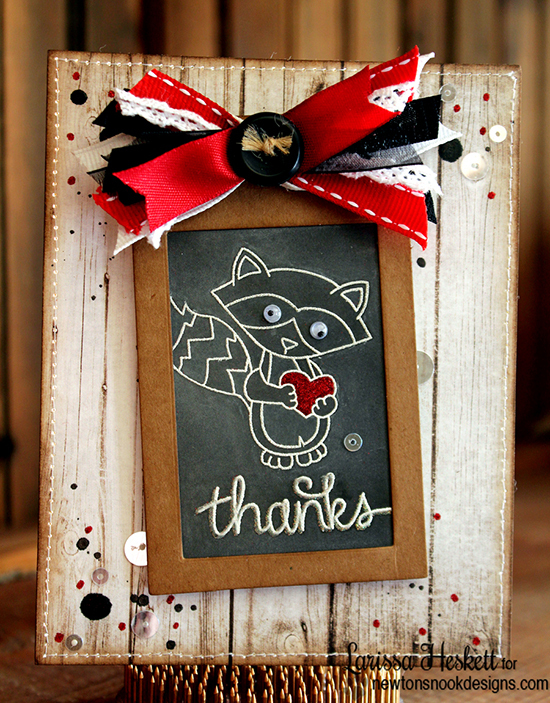 Card by Kimberly using our "thank you" digital freebie - you can download this stamp here.